In this dynamic workshop, spoken word artist Francesca Beard shares some of the key processes that inspired her new show How to Survive a Post Truth Apocalypse. 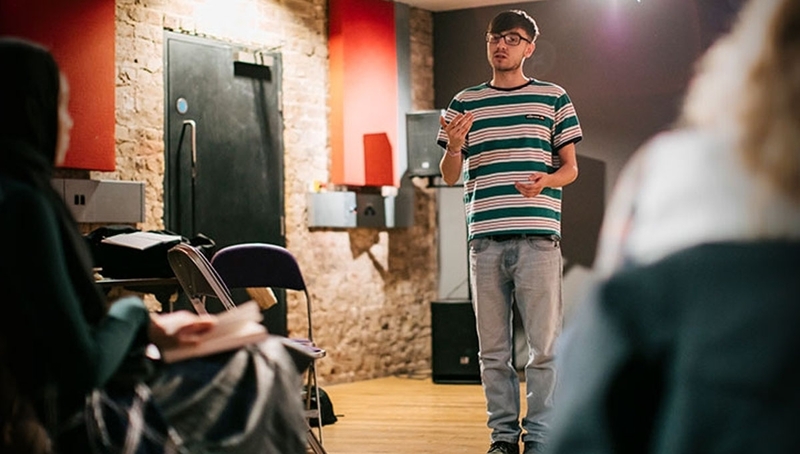 Through improvisational exercises and writing prompts, you’ll be supported to explore the use of personal myth, story-telling and atmosphere to generate powerful monologues, create compelling characters and inhabit authentic other selves, in your writing for the page and your live, onstage persona. By taking party you will learn how to use personal myth, storytelling and atmosphere to write and perform monologues, creating characters and playing with different personas on stage. No experience necessary, but an interest in writing and performance would be useful.